We can view holistic health as all the factors that influence our health including nutrition, exercise, emotions, sunlight, job satisfaction, relationships, creativity, nature, and spirituality among many others. Many medical doctors, healers, natural therapists and laypeople have decided for a career as a nutritional consultant. Nutritional consultants are in great demand all over the world as patients are increasingly searching for alternative ways to find the causes of their health problems. Modern medicine unfortunately has its limitations and drug therapy has many negative side effects and often provides little in terms of long-term resolution of chronic disease problems. Poor nutrition is responsible for the majority of modern health problems that we suffer from today. In recent years Nutrition, natural healing and natural medicine have shown unbelievable growth as a career option the world over. 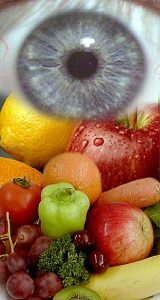 The potential is fantastic and Nutrition in combination with other natural healing methods such as Iridology, Homeopathy, Herbal Medicine or vitamin and mineral therapy is providing an effective solution to the growing rate of chronic health problems. If you would like to learn more about nutrition please take a look at our Holistic Nutrition Courses. If you would like to learn how to start your own professional business as an iridologist or nutritional consultant, click here.